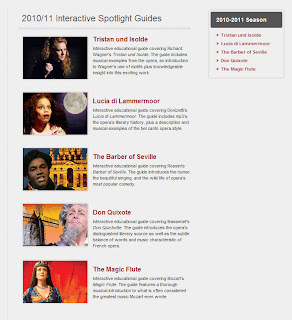 All five of our 2010/11 season Spotlight Guides--sometimes referred to as Seattle Opera's "Cliff's Notes" on each opera--are now available online. 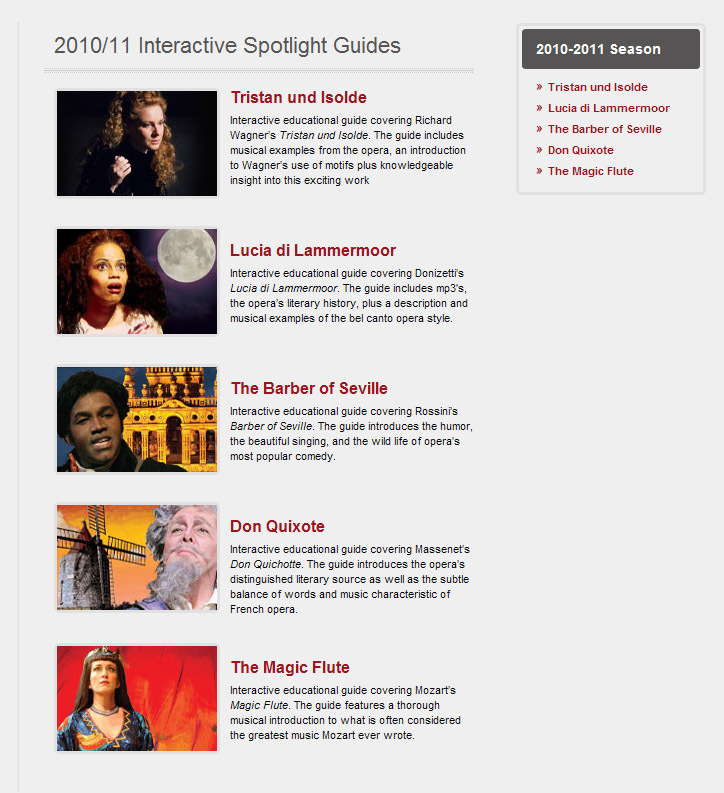 These online Spotlight Guides enhance the printed guides which get mailed with subscription tickets by adding lots of musical illustrations. They're the perfect crash course if you're going to an opera that's new to you, or a helpful reminder of an opera you've heard before. Access them by CLICKING HERE.